When designing a home, one of the fundamental considerations of an interior decorator will always be the colour and texture of the walls. These design elements can transform the atmosphere of a space, from one that is liveable, to one that a home owner can be proud of! This Ideabook showcases 12 wonderful examples of sensationally textured walls, with each giving their respective residence a unique feel. A wide range of materials have been used for diverse effect, from wood and PVC to porcelain and metal. If you're searching for ways to take the interior of your home to the next level, then have a look at these ideas and get inspired! 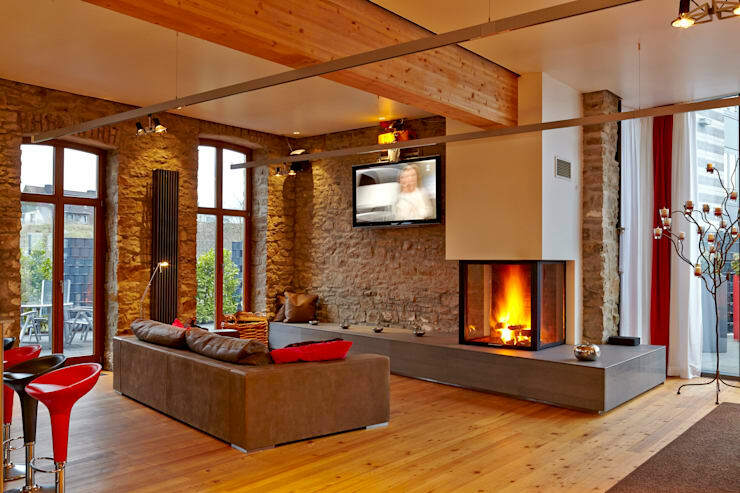 Much like exposed brick, rough stone can transform a design aesthetic, adding a sense of strength and history. Stone can be obtained in a range of shades and styles, with its rough finish contributing a rustic appeal to the most modern home. One of the great advantages of stone is its longevity, with this sturdy material sure to stand the test of time! 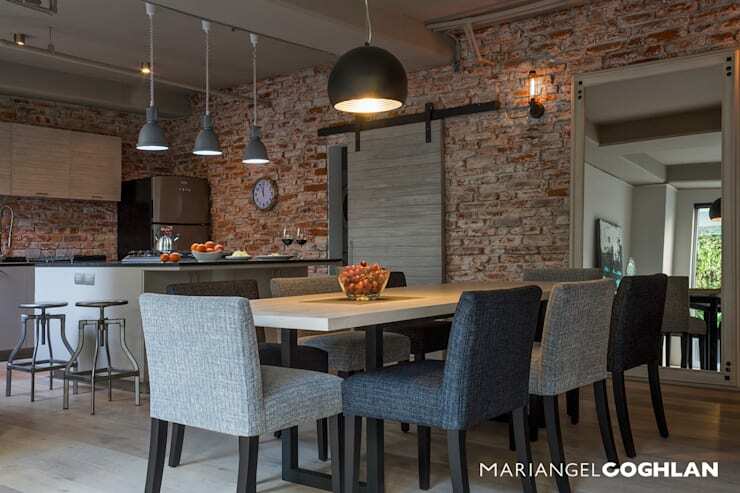 Exposed brick walls can be the ideal choice to infuse your home with a sense of industrial style. Brick surfaces exude an edgy appeal along with a sense of strength, as the walls are stripped back to their foundation, allowing us to get in touch with the essence of the materials constructing our homes. 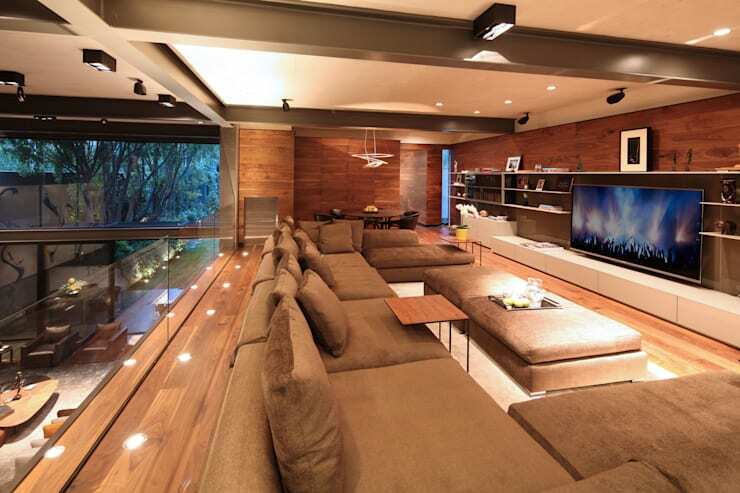 Wood has long been a primary material used in both constructing and decorating homes. Wooden slats and panels often serve to create a sturdy frame for a stylish abode, while woodgrain finishes, such as those seen here, lend a sense of natural warmth and beauty to a home's interior. While exploring the raft of natural materials available to add a sense of textural character to your house, let's not forget the appeal of a metallic finish. 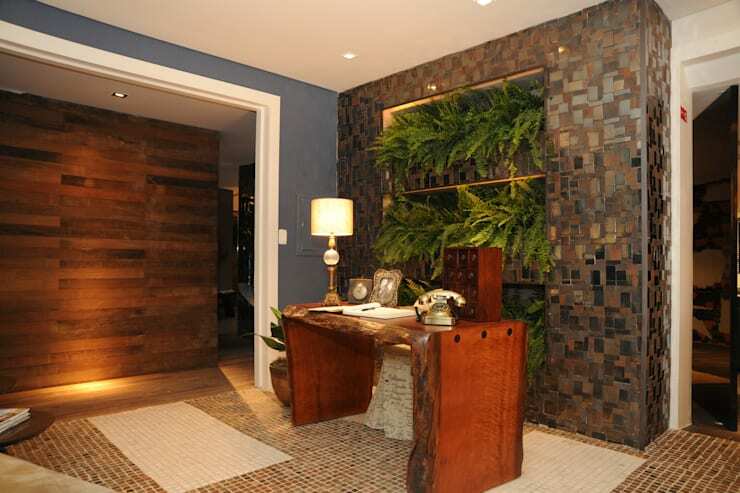 The small, metal sections decorating this feature wall add a surprising design edge, and combine well with the warmth of the room's wooden finishes and the soft flourishes of greenery cascading down the vertical garden. Green walls have become increasingly popular design elements, adding the appeal of nature to an interior atmosphere while infusing a home with bursts of colour. 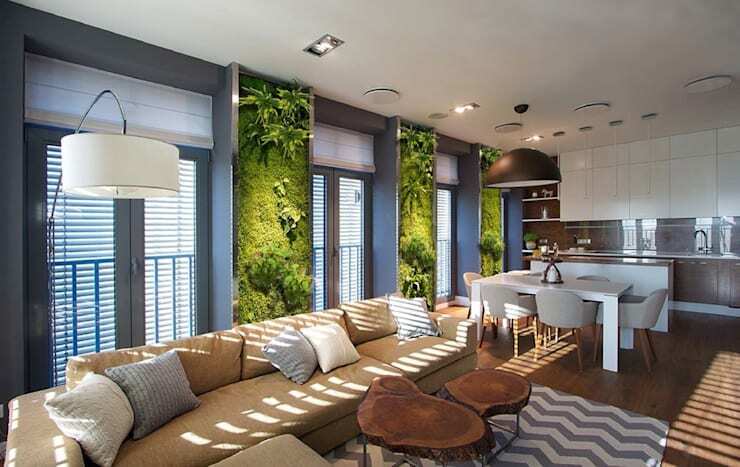 These green wall sections add a gorgeous textural element to this open-plan home, contrasting against its modern finishes, soothing the space and freshening the air. Best of all, green walls can be included in practically any property, with their vertical construction even suitable in very small-scale dwellings. When natural stone can't be sourced or transported there are, of course, a range or artificial materials that can be employed instead. Imitation stone, metal or brick are viable options for those operating on a budget or for whom logistical considerations might prohibit access to heavy materials. 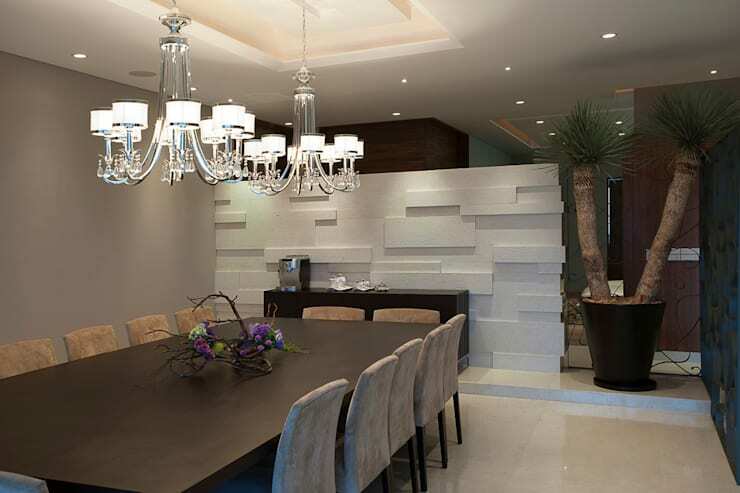 The artificial stone wall seen here is one such example, exuding a sense of classic strength while also adding a splash of colour to this understated space. 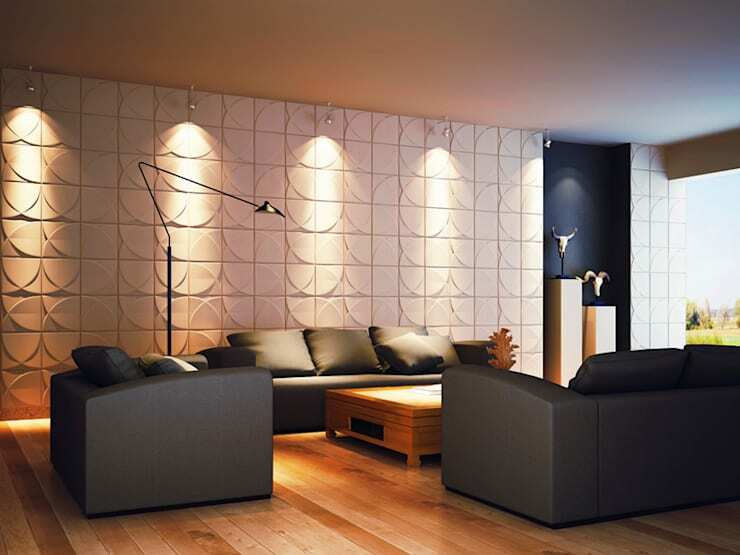 3D panels are a great way to breathe life into a room, infusing it with a sense of sculptural artistry. 3D panels are often lightweight, can be painted to suit any decor and are available in a range of environmentally friendly materials such as sugar cane stalks! One of the most commonly used materials to create textured walls is PVC, as it is lightweight, pliable and highly resistant to moisture and condensation, making it perfect for those living in humid climates. PVC is also durable and incredibly easy to clean; qualities that ensure it will appear fresh and modern for years to come. Textured tiles have been a staple of interior design for centuries, representing an artistic and elegant way to add depth and dynamism to a room. 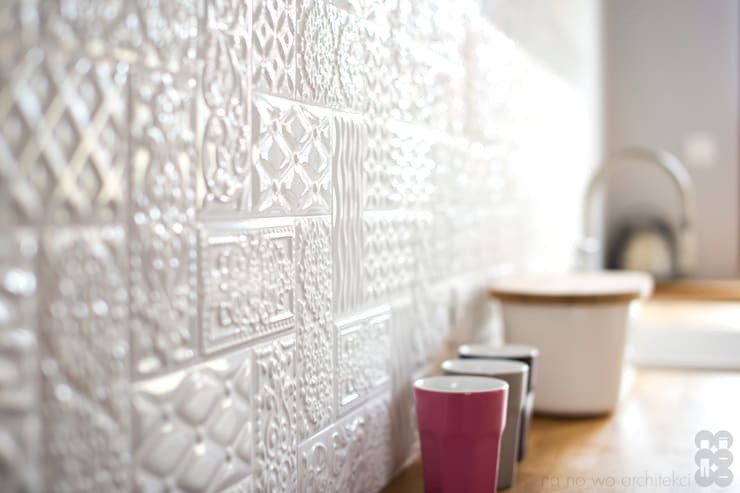 Those seen here dazzle in gleaming white, although textured tiles can be obtained in a range of colours and styles, to suit any design aesthetic. Plaster has long been a popular building material, due to its high-level durability and functionality. 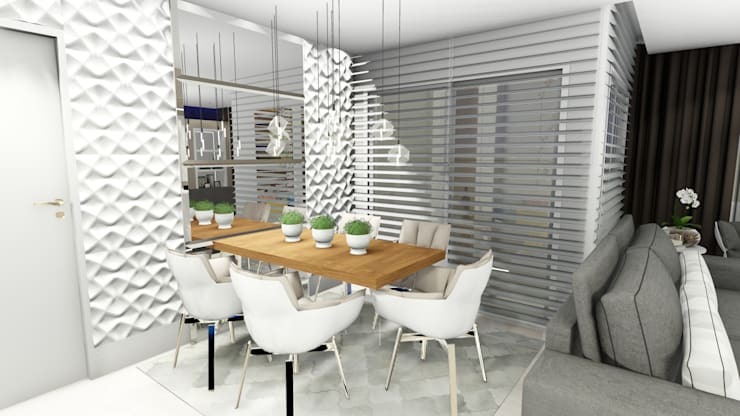 The plaster panels shown here create a stunning, geometric partition to section this modern dining room, giving a hint as to what can be achieved when building with this very versatile material. Divider walls are proving ever more popular design elements in modern residences, particularly those of diminutive size. Dividers are a great way to partially section spaces for privacy while still maintaining a sense of overall openness and flow throughout a floor plan. 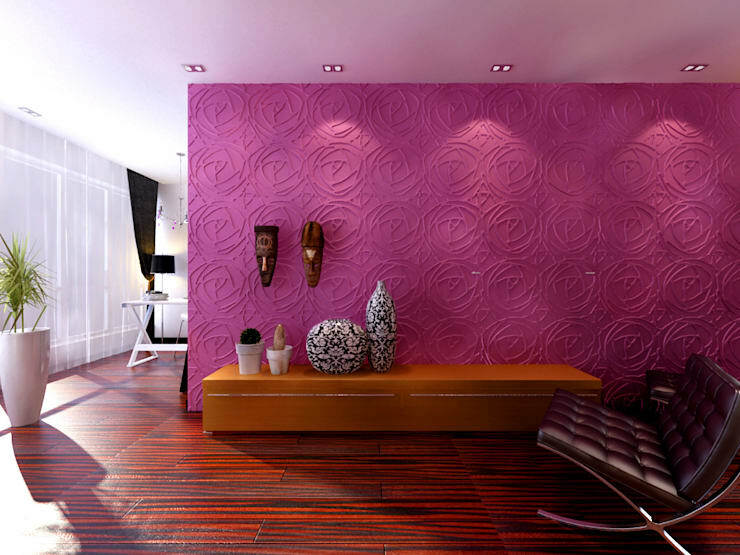 This vibrant specimen impresses in a striking pink, with its textured rose motif adding oozing style and character within this home. Textile and fabric have long been used to decorate walls, and represent a wonderful alternative for those seeking to create a soft and serene atmosphere in a bedroom or living room. 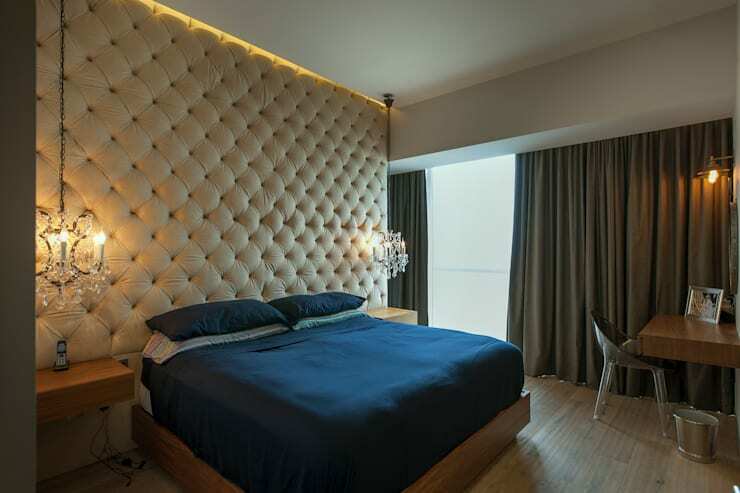 Quilted fabric walls such at that seen in this bedroom exude a classic sense of luxury, ensuring that the occupant will gain a good night's rest, as he or she is cushioned from all angles. For more ideas on how to augment your home's interior take a look at these 5 small and fashionable kitchens! Which texture would you choose for your home?